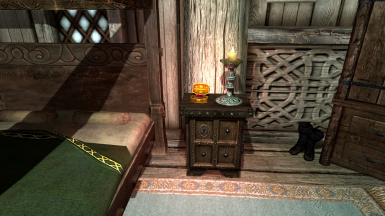 Adds custom magical, mystical, or blingy sound effects to Stones of Barenziah to have the Stones work similar to Nirnroot. You may do what you wish with the file as long as you credit me and don't distribute it on a separate mod hosting platform. 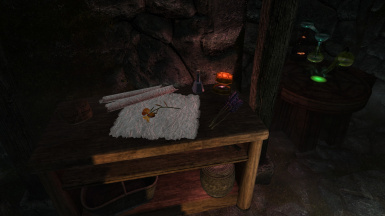 This is a small mod that adds two custom sound effects to the Stones of Barenziah: one for locational sound (similar to how Nirnroot sound is emitted) and one for picking up the Stone. This mod is meant to make it a little easier to find the Stones of Barenziah without giving away their exact locations. Sounds of Barenziah works especially well for no-quest-marker playthroughs too :). May not be compatible with mods that modify TGCrownGemActivator (I don't know of any mod that does, should be compatible with every mod). Compatible with Stones of Barenziah Quest Markers. Compatible with Audio Overhaul of Skyrim 2. Incompatible with Sound of Barenziah since it does the exact same thing, except uses the vanilla Nirnroot sound instead of my custom sound. Pick whichever one of these two mods you'd prefer. Sound Jay for the magical sounds. SkyrimFantom for the mystical sounds. Cash Money for the Bling Bling sounds. 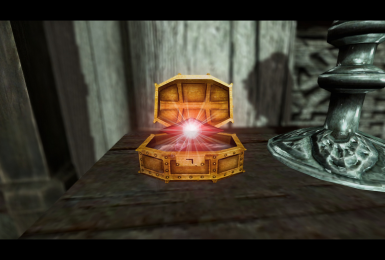 Screenshot uses textures from Skyrim HD and Barenziah's Glory, Depth of Field from SKGE.